SIZING: Fits standard 10" Roof Exhaust Pipe. Can be used together with TG10 Fan Exhaust top. 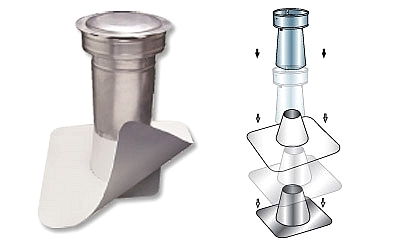 Fan Exhaust flashing is made from 4 Lb. 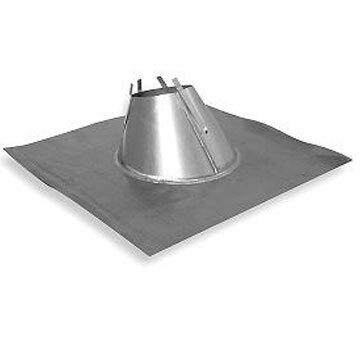 lead and provides a watertight seal completely protecting roof penetrations. Lead flashings have superior characteristics such as malleability, corrosion resistance, malleability, expansion and contraction and are suitable for all climates. Overall you have the best possible product and problem free installations. Special flashings can be ordered for greater angles.